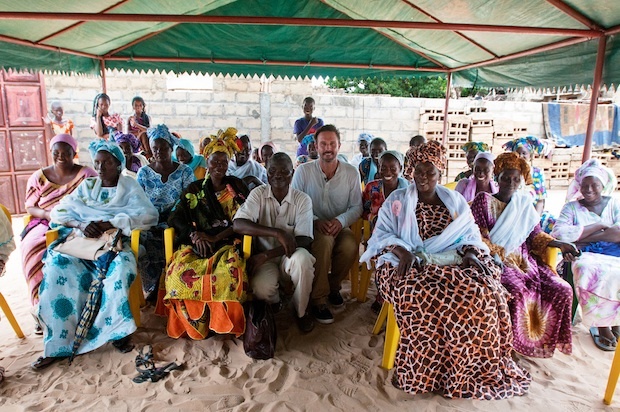 In Thienaba, Senegal, David Arquette discovers that preventing malaria doesn’t always require high-tech solutions. 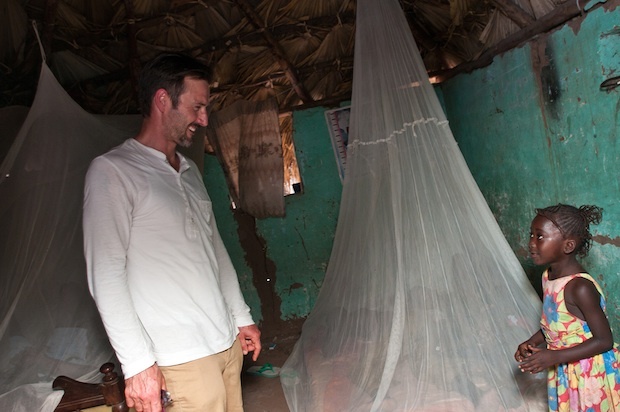 One father is stopping the disease with just nets and persistence. We tend to think of innovation as something that happens at startups and dotcoms. But sometimes, the most powerful innovations happen at the end of a bumpy dirt road in rural Africa–in this case, a Senegalese village that has figured out how to virtually eradicate malaria. As the father of a 7-year-old daughter, I was touched and inspired by the story of another dad I met during my recent trip to Senegal. I visited El Hadj Diop in his hometown of Thienaba, Senegal, where he told me the story of his own daughter, Ami. At age 11, Ami was about to start her first day of school. But one week shy of that milestone, Ami contracted malaria. El Hadj didn’t think too much of it at the time. It began as a simple fever, and her family didn’t recognize the symptoms. On day three, her condition took a tragic turn. El Hadj was at work when he got the news that Ami had died. The malaria parasite had multiplied tens of thousands of times, attacking her brain and overwhelming her young body–all as the result of a tiny mosquito bite. Malaria claims a life every 45 seconds. But El Hadj vowed that it would never kill again in his village. El Hadj took his message to his closest friends and neighbors. He worked with local women to form a group called Takku Liguey, which means “Working Together,” to help his village protect itself. Twice a day, women from the village perform what’s called set setal–they clean their surrounding areas, picking up trash and removing standing water, which are breeding grounds for malarial mosquitoes. But having and hanging nets wasn’t enough. El Hadj also recruited his village’s chief to go door to door to ensure everyone in every family used their nets on a nightly basis. Those that don’t are fined the equivalent of $.50. The money goes into a communal money pot to pay for emergency transportation and medicine for anyone suspected of having malaria. The results have been amazing. El Hadj’s village has gone from 3,500 malaria cases per year to nearly zero. And his programs have spread from village to village and are now being carried out in 66 neighboring communities. In all, nearly 50,000 people are protected from the deadly disease thanks to one man’s efforts. And in the past 18 months, no one from El Hadj’s village or the surrounding communities has died from malaria. I can think of no better way to celebrate Ami’s life and memory. Senegal, along with the rest of malaria-prone Africa, is in the midst of a universal coverage campaign to ensure that every man, woman, and child has a mosquito net under which to sleep. El Hadj’s ability to turn tragedy into triumph has inspired me to support the life-saving work of Malaria No More in Senegal and beyond. Please join me in this fight against malaria by visiting Malaria No More on my Crowdrise page. Let’s make malaria no more, and make stories like Ami’s a thing of the past. David Arquette has been consistently working in film and television from an early age, more recently guest starring in shows such as Pushing Daisies and Medium. He reprised his role as Sheriff Dwight “Dewey” Riley in the 4th Scream movie of the franchise.